One of the first things we Capetonians do when the weather starts to turn a little nippy is hauling out the old heater – it’s a sure-fire way to defrost those icy fingers and toes quickly and conveniently. The only issue is that it can also be an uber expensive option. 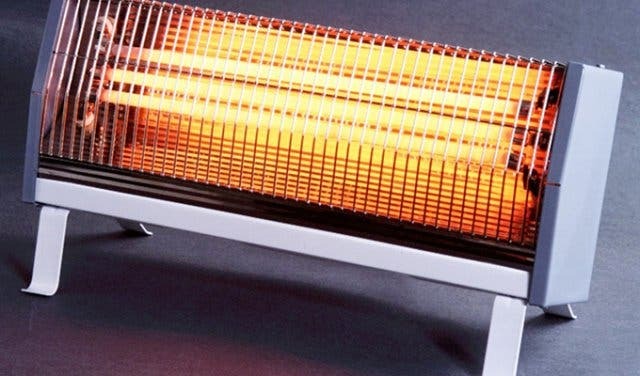 According to Eskom, domestic space heaters can account for up to 16% of your electricity bill, so if you’re going to use one (and let’s be honest, no one’s willing to give theirs up), it’s important to choose the most energy-efficient of the lot and to employ it in the right contexts in order to bring down costs. To help you save some dough this drizzly season, we chatted to the folks at Eskom and, with their help, put together a comparison below that outlines various heating options and the pros and cons of each. This way, you should be able to make a safe, informed and an economical decision about how to warm up your cave when the cold sets in. Oil heaters warm up spaces gradually and consistently over time, so they don’t draw heavily on electricity and therefore are quite economical. 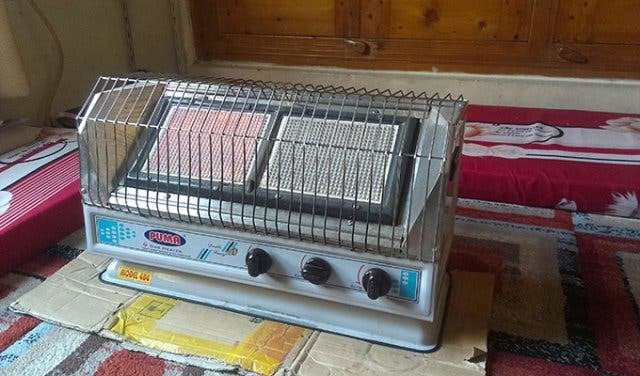 Because the hot oil is sealed inside the panels of the heater, it’s a very safe option. It’s efficient enough to use for long periods of time, like overnight in bedrooms. The heater will stay warm for some time after it is switched off as the oil retains heat well. Oil heaters can take quite some time to heat up, so it may be a while before you feel the effects. They only operate well in a small, closed room – if you’re trying to heat a large, open zone, this is not an effective option. Fan heaters work instantly, so if you’re desperate to thaw those fingers and toes right now, this is a good alternative. They’re very energy efficient, and hence rather inexpensive if used for a short amount of time (one hour or so). The units themselves are generally quite affordable. They generate a precise heat that can be directed straight onto you. The fan can be quite noisy and distracting. There is a small risk of a fire starting if the heater comes into contact with fabric and furniture. Bar heater units are generally quite wallet-friendly. This type of heater warms a space quite rapidly and so provides relative immediate comfort and relief from the cold. 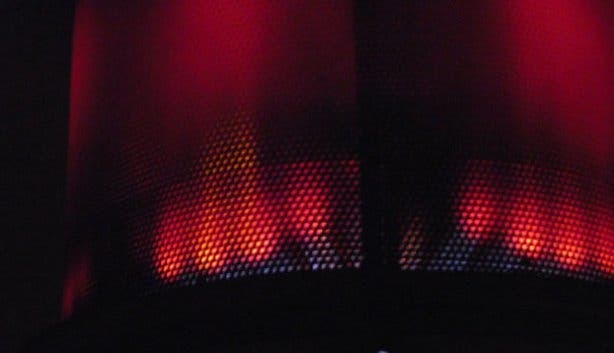 Bar heaters present a fire hazard and also hold a burn risk for young children. This sort of heater is quite heavy on electricity, especially if used for long periods of time, and is, therefore, costly to run. 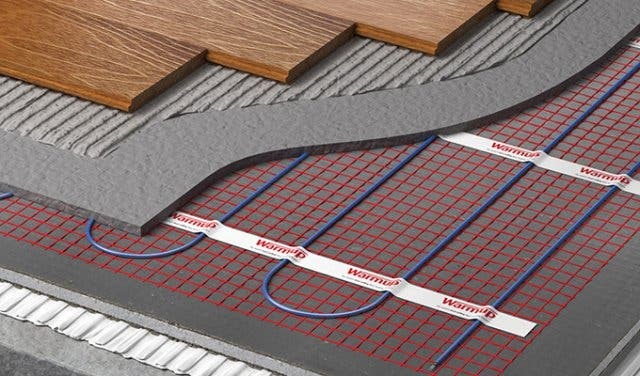 Of all the options, underfloor heating provides the most consistent temperature throughout a room, from floor to ceiling and from one side to the other. Once installed, it’s a relatively hassle-free heating option. Because this system is installed below tiles or carpets, it takes up no space, is inconspicuous and not at all unsightly. Underfloor heating is incredibly energy intensive as the whole floor must be warmed before the air in the room can even start heating up. It’s, therefore, a very expensive choice. 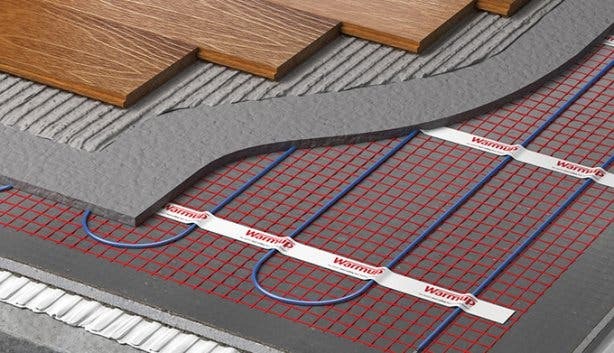 If a house isn’t built with underfloor heating already fitted, it can require major upheaval to install retrospectively. Infrared heaters warm up objects directly via electromagnetic waves and hence waste no energy trying to heat large volumes of cold air. 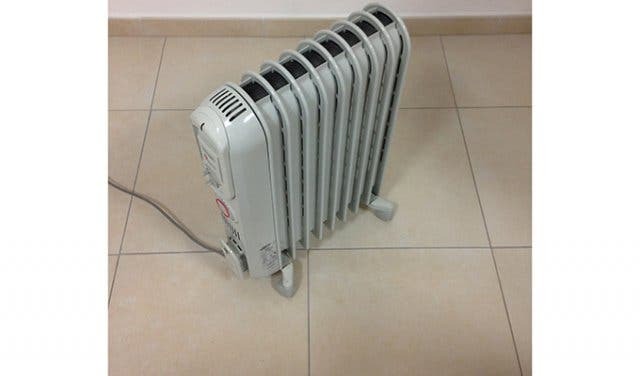 They’re therefore the most efficient type of heater, and thus the most cost-effective to run. 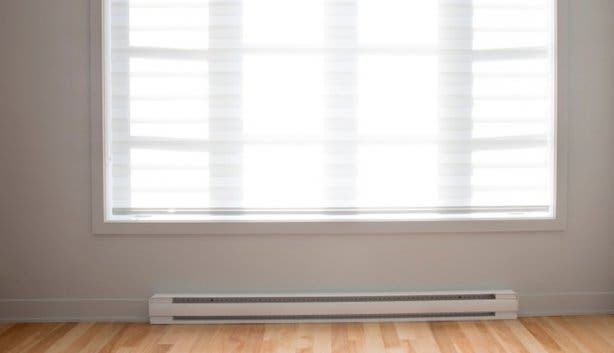 This heater category works instantly and emits heat rapidly, so if you come in from outside ice-cold, this option is great for helping you defrost quickly. Certain makes give off very little visible light, so save even more energy and cash. Infrared units give off a very healthy, eco-friendly heat – they don’t release any gasses and don’t burn up anything to produce warmth, so the air in the room retains a good amount of oxygen and moisture. 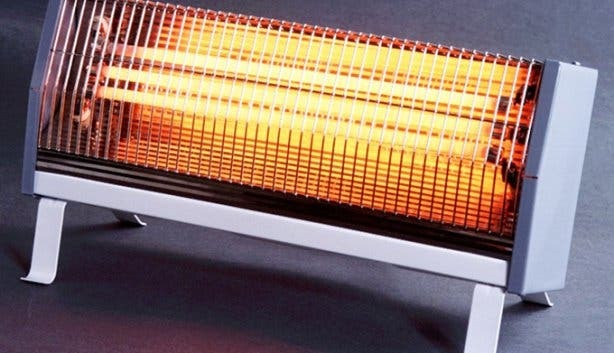 Because infrared heaters warm up objects and not air, they won’t actually raise the temperature of the room. You, therefore, have to be very close to the unit to feel the effects. They can be dangerous as the elements inside do get very hot. Once turned off, this type of unit will lose heat instantly and you’ll be back to cold in no time. Wall panels provide a gentle heat and can be left on constantly. 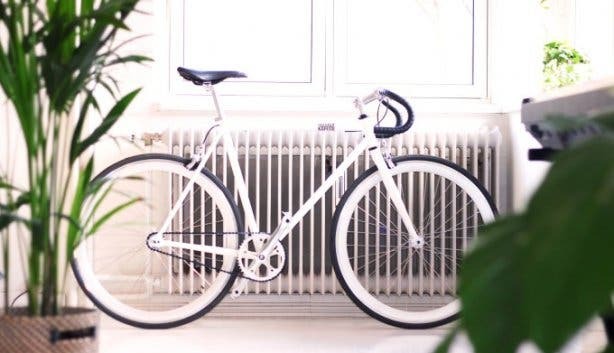 So, once the room has warmed up, they don’t draw on a lot of energy to maintain a comfortable temperature and therefore keep costs relatively reasonable. 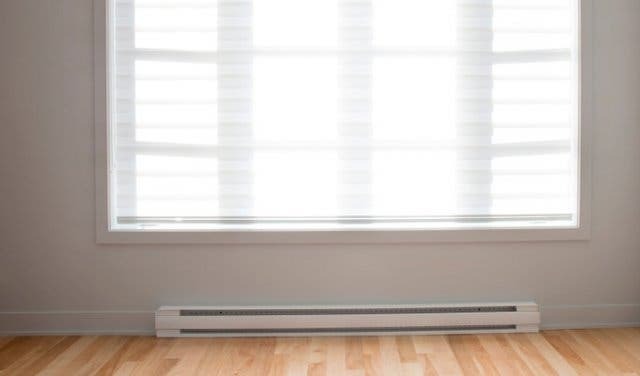 Because modern versions of this heater are generally slender and lie flush against the wall, they are unobtrusive and can even be painted so that they blend in. As the most heat comes from the back of the panel, they are relatively safe for kids and pets. If you don’t make use of tin foil behind the panel, you can lose a lot of precious heat to the wall. The fact that these panels are rather small reduces their efficiency. Wall-mounted heaters have to be left on for quite some time before they start to make a difference to the room temperature, and hence they waste electricity and funds in this process. Gas units give off heat almost instantly, so you don’t have to run them for long to feel the glowing effects. 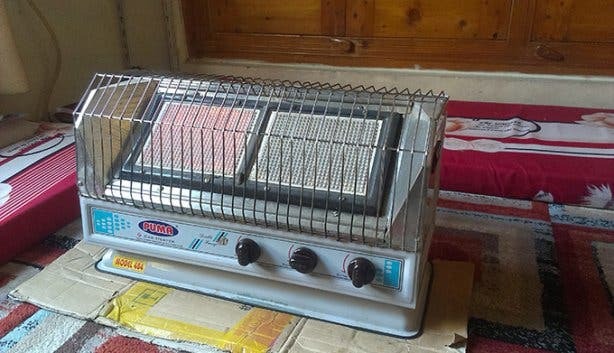 If the power cuts for whatever reason, you can still use one of these gems for warmth. Because they rely on gas, they don’t put pressure on the national electricity supply, which is already taking strain. Bottled gas is very expensive in South Africa, even pricier than electricity, so this option will actually likely cost you more than electric heating. They’re not very safe – gas heaters give off the harmful by-product carbon monoxide as well as other pollutants that are dangerous to inhale. Therefore, proper ventilation is essential, but then, of course, you run the risk of letting in the cold. What’s more, there’s the issue of exposed flames, which presents a burn or fire risk. 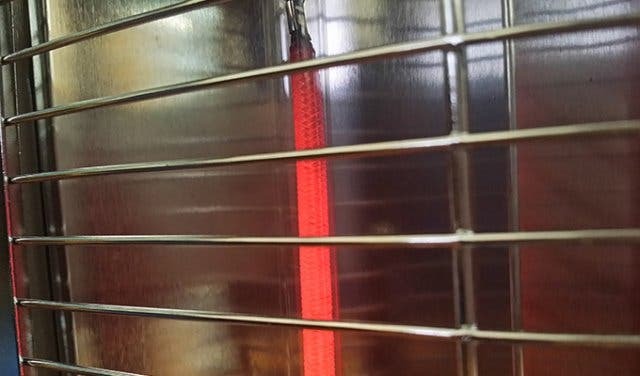 The Verdict: Infrared heaters are the most cost-effective option if you’re just looking to warm up your icy body. 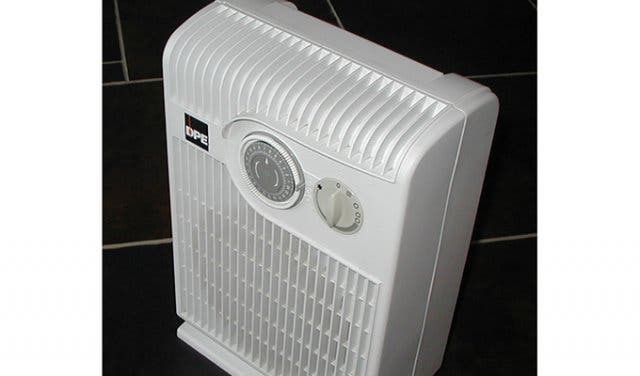 To heat up spaces at home though, it’s recommended that you use a 2-kW fan heater if you want to rapidly increase the level of warmth in an average-size room (3 x 3 x 2.5m) over a short timeframe of about one hour. 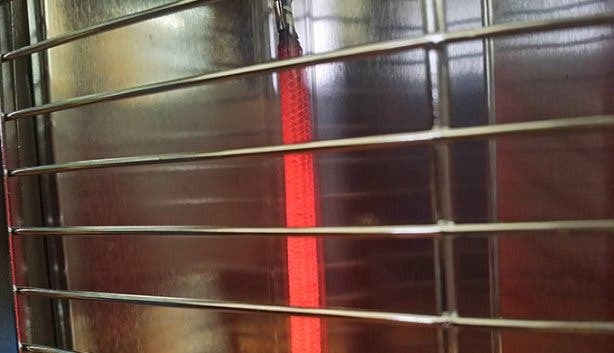 If you want to slowly and steadily pick up the temperature in an enclosed, average-size room over around three hours, an oil heater with an output of 2kW is the most penny-wise option. Any heater you use must be controlled by a thermostat. Stay away from underfloor heating if you don’t want to burn a hole in your budget. You might also want to check out these lesser-known and cosy restaurants with fireplaces in Cape Town. And, winter doesn't mean you have to stay cooped up inside. We've put together some cool things to do in cold weather as well as our selection of value-for-money winter specials. Looking for other ways to stay snug while spending less cash? 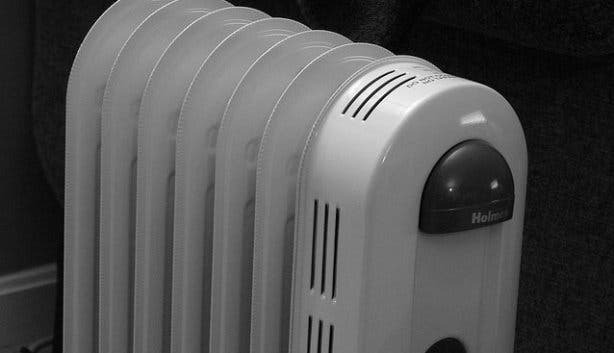 Consult our comprehensive overview of cost-effective ways to keep warm in winter.